Afternoon downpours could spell disaster for millions of road trippers this summer, thanks to an unlikely suspect – tires. New research from AAA reveals that driving on relatively worn tires at highway speeds in wet conditions can increase average stopping distances by a staggering 43 percent, or an additional 87 feet -- more than the length of a semi-trailer truck -- when compared to new tires. With nearly 800,000 crashes occurring on wet roads each year, AAA urges drivers to check tread depth, replace tires proactively, and increase following distances significantly during rainy conditions. • An average increased stopping distance of 87 feet for a passenger car and 86 feet for a light truck. • A 33 percent reduction in handling ability, for a passenger car and 28 percent for the light truck on average. Unfortunately, current industry guidelines and state laws and regulations frequently recommend that drivers wait until tread depth reaches 2/32” to replace tires. Not only does this recommendation jeopardize a driver’s safety, it minimizes manufacturer warranty costs and is often paired with environmental concerns. By prioritizing safety, AAA maintains that tires should be replaced once the tread depth reaches 4/32”, when stopping distances have already begun to deteriorate significantly. AAA’s comprehensive evaluation of tire tread laws and regulations across U.S. states found a state requirements range from inadequate to non-existent. “Proper tire care, including maintaining the correct pressure in all five tires, means owners will replace tires less often, use less fuel, and will have less of a likelihood to be stranded on the streets and highways,” according to the Auto Club’s AAA Approved Auto Repair Manager Dave Skaien. The Auto Club reminds motorists that their new vehicle may not come equipped with a spare. The Auto Club urges motorists to check inflation pressure at least once a month and before long trips and, to remember to check the spare tire. To properly check inflation pressure, an individual must use a tire gauge; use the correct inflation pressure for the vehicle and; check tires when cold, before driving. The correct inflation pressure is found on a label on the driver’s door or owner’s manual, not the tire sidewall. Under-inflated tires pose a safety risk because they generate heat, which can cause tire damage that leads to failure. 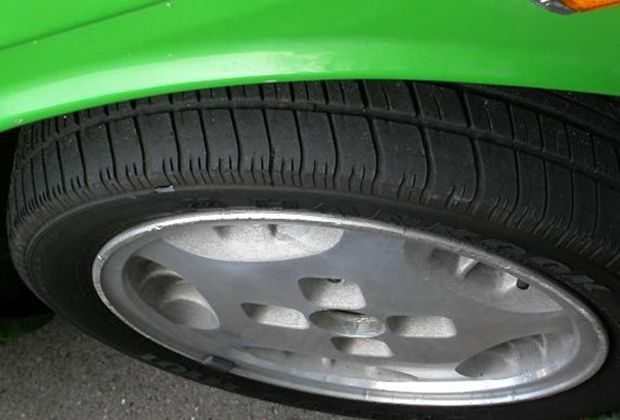 Under-inflated tires are attributed to an estimated 195 fatalities each year, according to NHTSA.